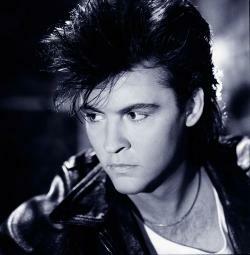 Paul Anthony Young (born 17 January 1956) is an English singer and musician. Formerly the frontman of the short-lived bands Kat Kool & the Kool Cats, Streetband and Q-Tips, his following solo success turned him into a 1980s teen idol. He is famous for such hit singles as "Love of the Common People", "Wherever I Lay My Hat", "Come Back and Stay", "Everytime You Go Away" and "Oh Girl". His debut album No Parlez turned him into a household name. His smooth yet soulful voice belonged to a genre known as "blue-eyed soul". Since the mid-1980s, he has had international success, along with his backing band Los Pacaminos. In 1985, he appeared at Live Aid, where he appeared at the London Wembley Stadium performing the Band Aid hit "Do They Know It's Christmas" (having sung the opening lines on the original single release), and his own hits "Come Back and Stay" and "Everytime You Go Away", with Alison Moyet joining him on stage to perform "That's The Way Love Is". At the 1985 Brit Awards, Young received the award for Best British Male. Since the late 1990s, Young has released very little new material, but has continued to tour in different parts of the world.